From left to right on the bottom row we have shimmer textures : Primerose, Clove, Cosmos and Aster. 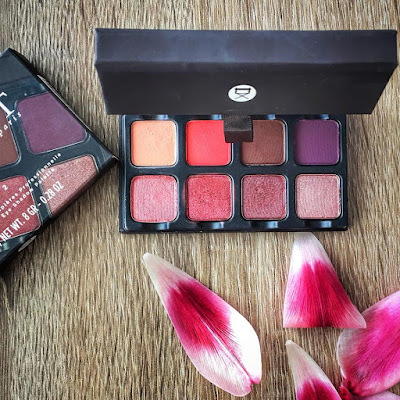 This eye shadow palette is really small (8g ) and perfect to take it with you wherever you go, it even fits in the back pocket of my jeans, in any of my clutches; is 3 times smaller than my Iphone :)) and of course very easy to lose. I really love the size of it , petit and cute ! All colors are very soft, smooth, very pigmented and so easy to blend and work with it. The shimmery colors are so soft and buttery that you can simply use your finger to add the color on your eyelids. 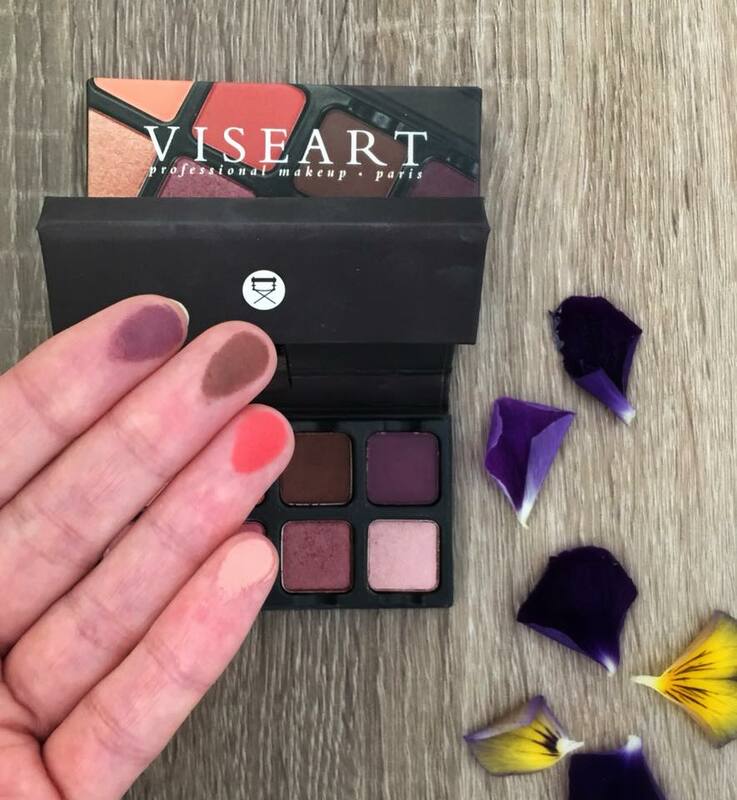 Like with all the Viseart eye shadow pallets the pigment is really strong and you wont need to dip your brush very deep in the eye shadow. There is absolutely no fall out! The colors will look the same on skin as they look in the palette as you can see in the photo below (no primer was used ). With primer, all colors will look even more intense and they will also last longer . On me, these eye shadows last for 4-5 hours with primer. For some reason they just fade very fast even if I dont have oil eyelids and I prep my skin before the eye shadow application.Compared to my other Viseart eye shadow palettes, Petit Pro 2 doesn't last very long and I actually heard other people complaining for the same reason. 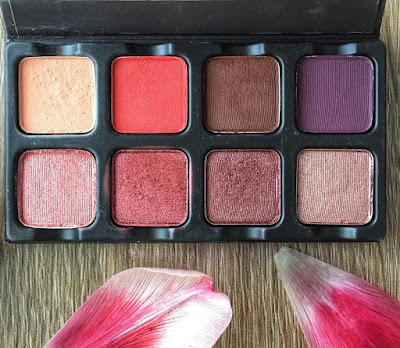 I am not sorry I bought this eye shadow palette, the colors are just so beautiful and I was missing something like this in my makeup kit, plus is so perfect for personal use because of the size. All photos are in natural light and without any filters. Have you tried any of the Viseart eye shadows ? perfect to take it with you anywhere! I like almost every color in that palette! They are very small and I'm mad about the peachy shade (second one), but it's sad to hear that they don't last. 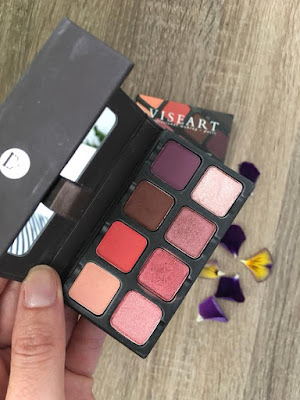 I mean, 4-5 hours for such an expensive palette, that's a joke and that's not like Viseart at all! Maybe a bad batch? Badly formulated collection? I never heard anyone else complaining so far about this one.I thought I should get the one with greens and compare it, also buy it from a completely different place. 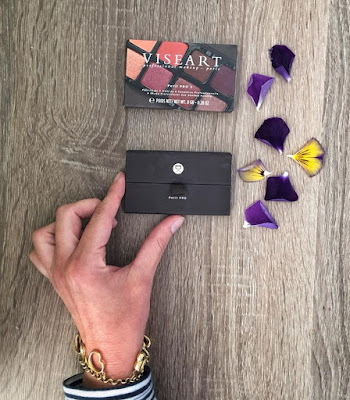 I was also super disappointment to see that it did not lasted as long as the other Viseart palettes, not even close.The colors are indeed so insanely beautiful! Nice Post..!! Thanks for Sharing.